This week we enter the 2nd week of our mega marathon of journey through the cuisines. From the deep southern african dessert we straight go across the globe closer to the northern pole...Scotland this week. The Scottish food is not very different from the English one and also has a lot of baking. The reason I picked Scottish recipes was because I follow a lot of baking books which are originally written by many Scottish chefs. A little bit of reading around the countries in United Kingdom, led me to know that England and Ireland are offsprings of Scotland and not the other way round. So most dishes although sounding similar may have been originated in Scotland. Well, in my pursuit to find the most authentic recipes from Scotland, I also reached out to a friend who tells me that they have a heavy european influence. This explains the great baking recipes coming out ,doesnt it? 3) Beat the egg and add it to the butter mixture. 4) Add the flour next and fold it until well mixed. This mixture will be slightly stiffer and not very runny. This is okay. 5) Add the dusted cherries and mix them in. 6) Line a cake tin of 8 inches with parchment paper.I baked in 2 small pans - 6 inch and 4 inch. 7) Pour the mixture and flatten it with the back of the spoon. 8) Bake for 30-35 min at 170c in a preheated oven. Ah Scotland...can't wait to read about the cuisine..and btw that's a cute looking cake..
Scottish iced cherry cake looks fabulous.Looking forward to seeing more interesting Scottish recipes. Surely picking out gems aren't we ? :) cake looks great .. 113 Gms ? So exact ?? 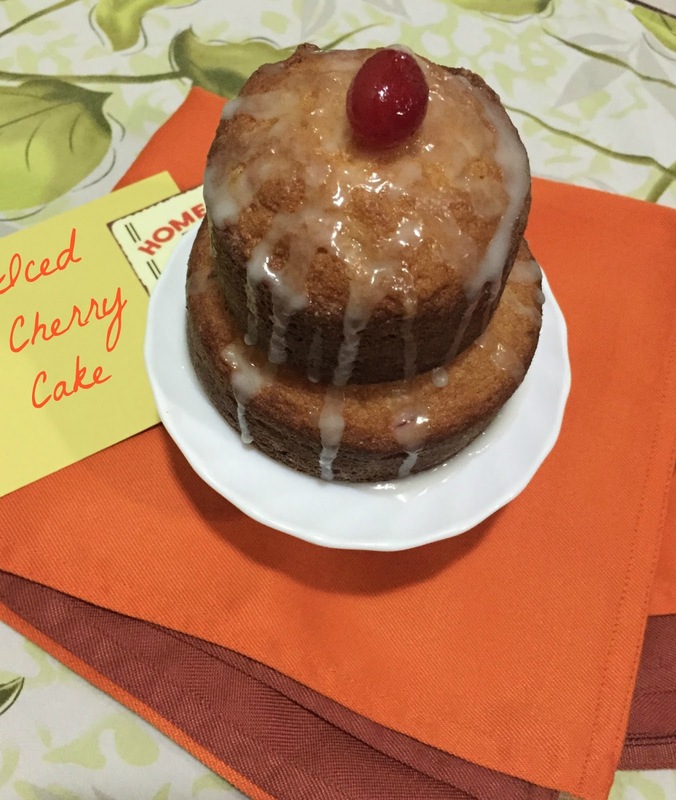 That's such a cute looking cake..
Scottish cherry cake looks prefect to have with a cup of tea, lovely pick. Looking forward to your Scottish recipes! This iced cherry cake looks fabulous. scottish recipes? wow wow wow. can't wait for other ones. Between the cake looks so amazing. The recipe is easy one to remember like the pound cake one. Love the shape of the cake. That is such an amazing cake Pradnya with just few ingredients. Looks great!! I like your new destination, The cake looks lovely with that glaze. Nice start to the week. The cake looks too good. 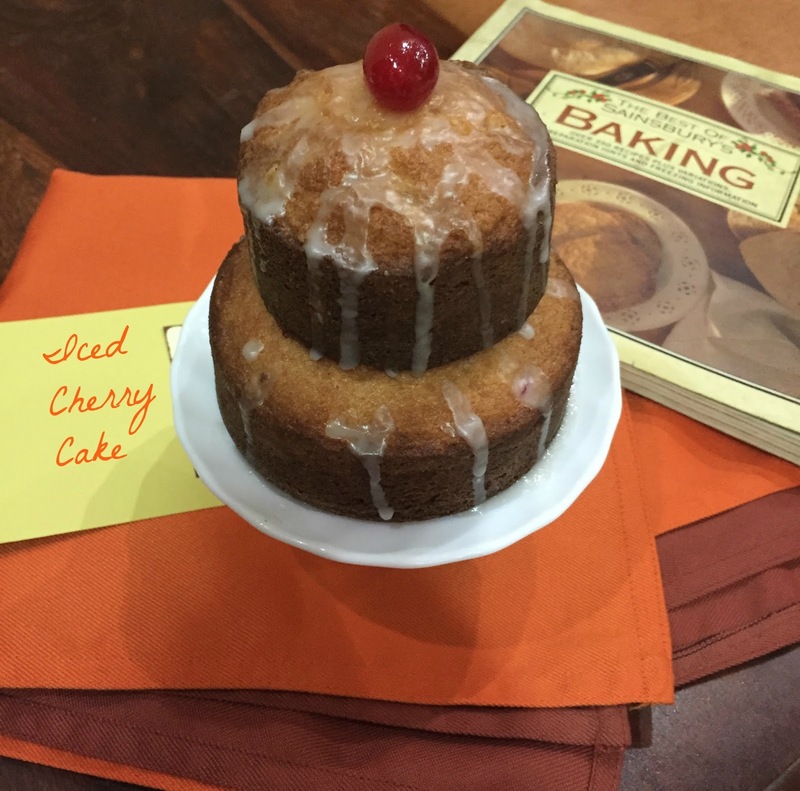 Waiting for all your recipes this week..
Two tiered ice cherry cake looks amazing and love the icy icing glacé one the cake.